Let me start with the bad news: There I was freshly baked from the high school oven, tired, uneasy, stressed yet optimistic that the future had something special in store for me. Final high school exams had dealt with me thoroughly and I knew exactly what my harvest would look like. My concentration and attention had shifted to the applications I had sent to different institutions around the world: America, South Africa, Canada, China and Rwanda. I had hopes of taking this huge step in this stage of my life, but my greatest worry was leaving the comfort of my home in Gweru and my family. And then came the good news. It happened so quickly on a seemingly normal day that I was accepted into the inaugural class of the African Leadership University, Rwanda, and that was where I would be beginning a new path of my unforgettable journey. This fresh and innovative institution rescued me from the way I viewed Africa and relieved the energy and light that was slowly dying inside me. Kuda with USAP brother Nate Kuchena. So there I was on my way to the new face of Africa, the city of a thousand hills, Kigali. I felt both confused, and yet inspired by what lay ahead of me. Thankfully, I was not alone. I had my brother, Nathan Kuchena and my sister, Judith Chatiza, both whom I had bonded with closely for the last year as USAP students. And we all had the guidance of our big sister Chiedza Mufunde in Kigali, herself a USAP alum. I remember them telling me to get ready and to see Africa’s rising in a different way. The moment I set foot in Kigali ,I felt the atmosphere change and my mindset transform.. Everyone here was very friendly and welcoming as if they knew me from long back. The city was so clean that I was terrified where I would put my next footstep. It wasn’t the picture that I had in mind, but here I was in right in the center of one of the safest, fastest growing, lit, cities in the world. I was about to start a new chapter in my academic and personal life. Then came the first days of college. ALU’s Orientation and the opening ceremony are just some of the best moments so far. Meeting classmates from all over the Continent, engaging with them in many different activities and most importantly embracing the diversity amongst ourselves. I volunteered to be a language support coach. This way I could have more time to experience different cultures. Academic time pressure slowly began to build as the days passed by and I became more absorbed in assignments, peer work and office hours. A lot of things have to be done, but we don’t forget to unplug from school work, to enjoy the views, to see gorillas and to enjoy cooked bananas and chapati. What I like most about this experience is the family and support I have received in only a short space of time. I love African Leadership University, Kigali, Kinyarwanda and above all I love this journey I have embraced fully and have embarked upon at ALU Rwanda, my never ending story. 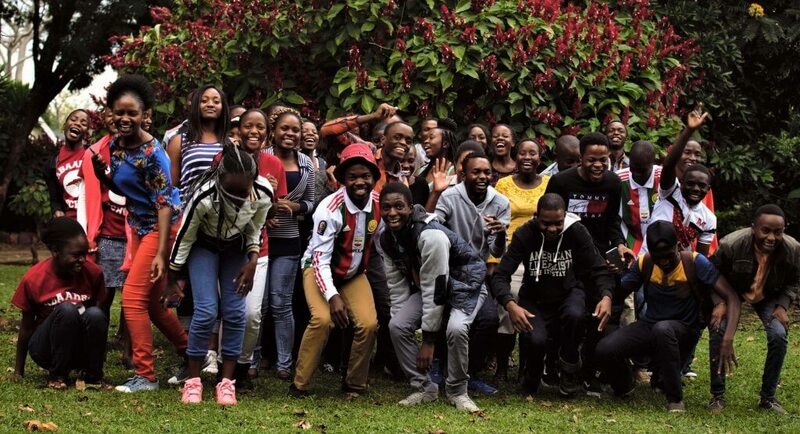 Kudakwashe Mavuru is a USAP alum who attended St Patrick’s High School near Gweru and has recently started his studies as part of the first class of the African Leadership University, Rwanda.